World Rugby are set to test new tackle laws in the coming English second tier Champions Cup tournament. My fear is that rugby’s equivalent of diving to get penalties could be coming. The new law will see tackles have to be made below the armpit line. For normal play this seems reasonable, but players have learnt to run at the defensive line with their body height lowered and head down, sometimes to protect their head, sometimes to milk a high-shot penalty. Then there is the pick-and-go manoeuvre around the fringes, often close to the tryline. So how can a legal tackle be made when the only part of the body presented to the tackler is the head and shoulders? 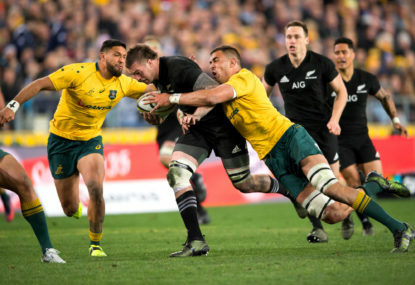 Perhaps the laws should stipulate that if the ball carrier’s head is below his normal shoulder height when standing, a high tackle cannot be called. In fact, if a ball carrier leads with their head, making contact with the tackling player, and some a normal, safe tackle is prevented, then the sanction should perhaps be on the ball carrier for creating a dangerous play (if only to themselves). What are World Rugby doing on this tactic of leading with the head to prevent tackle or milk sanctions?